To drive lasting client success by providing exceptional expertise in growth and stability leadership. 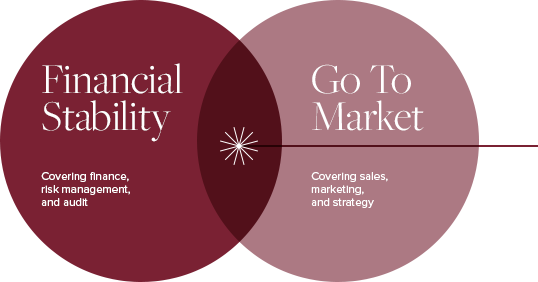 Financial Stability and Go To Market disciplines interdependently rely on each other to foster success. Specializing in these two areas allows SEBA to provide an uncommonly holistic approach to leadership. Our team is distinguished by specialized, cutting-edge knowledge and experience within the industries we serve. Our clients rely on us to deliver expert knowledge and market recommendations on a global basis every day. As a team we participate in continued education and training within our craft, keeping us sharp and focused on what matters today. Brexit - Where to from here?